It’s been said that groupthink is a bad thing, that creative tension is a good thing and that appointing a “devil’s advocate” represents the best way to counteract the former while generating the latter. With any luck the give-and-take of debate yields better insights into ambient circumstances and how to manage them. To assure there is some give-and-take against the pressure of groupthink, the wise leader nominates a devil’s advocate to his team — namely a contrarian whose appointed task is to confound emerging wisdom by lodging arguments fair or foul. The ornerier the better when you’re playing the part of Screwtape. So it’s with a whiff of fire and brimstone that I take issue with my friend Gordon Chang, who maintains that “China Wants Confrontation in the South China Sea.” Hence Beijing’s decision to disclose that USS Hopper executed a freedom-of-navigation cruise while Washington initially remained silent about it. Gordon regards Chinese bombast as proof that Chinese Communist Party leaders are spoiling for a fight of some sort, rather than as yet more proof that bombast is encoded in China’s political DNA. Keyword: wants. It’s the job of all strategic leaders to prepare for confrontation. To do otherwise courts disaster should confrontation come. But few sane leaders crave strife. That includes Chinese leaders. We make much of Chinese sage Sun Tzu’s maxim that winning without fighting constitutes the supreme excellence in statecraft. Short of that, Master Sun implores generals and sovereigns to take enemy states intact, and to wage short, sharp wars in order to avoid bankrupting the treasury and national manpower. Their paramount mission is to win. Next most important is to hold down the expense in resources and lives for both combatants. Sun Tzu’s Art of War remains a staple of strategic discourses in China today, and justifiably so. But wanting to fight is another thing altogether — and would warrant different American and Asian countermeasures. Strategists in the United States, its allies, and its friends should respond to Chinese deeds far differently if the problem is a lightning bug as opposed to a lightning strike. Mistake one for the other and you’re apt to overreact, underreact or mis-react (if that’s a word). Gordon takes his brief for Chinese belligerence just a trifle too far — but that’s a trifle that could beget errant strategy. Nor, it bears mentioning, is the quest for bloodless victory an exclusively Eastern specialty. Strategists and philosophers from the Western canon tell us so. But their insight should come as cold comfort — winning without fighting should not connote collegial, noncoercive negotiations that yield compromises everyone can live with. [The] aggressor is always peace-loving (as [Napoleon] always claimed to be); he would prefer to take over our country unopposed. To prevent his doing so one must be willing to make war and be prepared for it. In other words it is the weak, those likely to need defense, who should always be armed in order not to be overwhelmed. Thus decrees the art of war. If we submit to an aggressor’s demands or succumb to gauzy illusions that artful diplomacy always triumphs, we’re apt to find ourselves in a Clausewitzian predicament. Linguistic precision, then, constitutes a virtue of no small moment not just for commentators, but for practitioners of statecraft. It helps us calibrate words and deeds to the surroundings. Which brings us back to the voyage of USS Hopper. The linguistics of freedom of navigation — or, more accurately, freedom of the sea — matter just as much as how we describe China’s intent to seek or shun conflict on the briny main. As Maritime Executive and other press accounts report, an anonymous U.S. official classified the operation as an “innocent passage” close to Scarborough Shoal while maintaining the passage sent the same “message” as a freedom-of-navigation demonstration. Not so! Under the law of the sea innocent passage is something vessels do when passing close aboard territory belonging to sovereign coastal states. This legal regimen obliges warships to desist from any activity that infringes on the coastal state’s security, such as military surveys, flight operations and the like. In other words, ships may transit through territorial waters — and do nothing else. 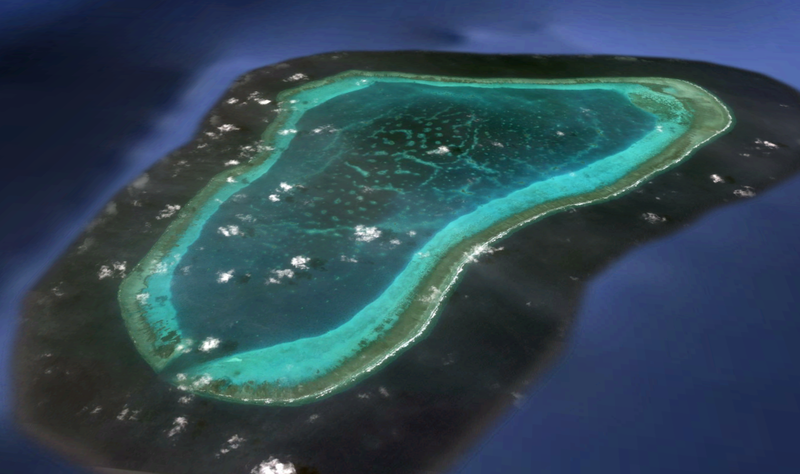 So if Hopper indeed executed an innocent passage past Scarborough Shoal, and if the Pentagon branded it as such, then the operation conceded what it purported to dispute: that China can command sovereignty over geographic features deep within a neighboring coastal state’s offshore exclusive economic zone. 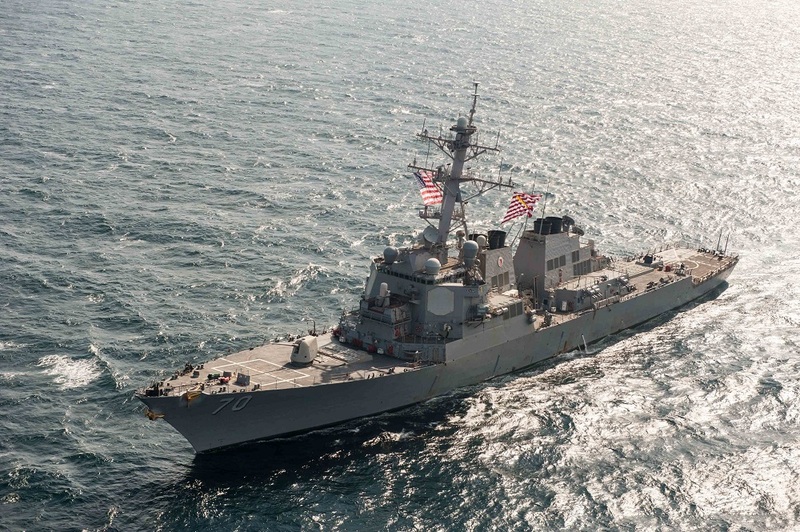 The cruise thus broadcast no other message than that anonymous spokesmen in Washington are befuddled — and that the Pentagon, which has stopped publicizing its efforts on behalf of nautical freedom, might be as well. Advantage: China. Mischaracterizing your own actions, in short, amounts to self-defeating behavior in strategist-speak — or to shooting yourself in the foot in layman’s terms. And that leaves aside the fact that Scarborough entitles its owner to no jurisdiction over surrounding waters in the first place: it doesn’t even qualify as a rock by treaty standards, and thus bestows no rights or privileges on anyone that relate to freedom of the sea. Ships of any nation can lawfully do most anything there except fish or extract undersea natural resources. And they should. While China has asserted squatter’s rights to the reef by virtue of its powerful navy and coast guard, the Philippines enjoys the sole right to harvest natural resources around the shoal. It enjoys that right not because Scarborough is a land feature conferring such jurisdiction, but because Scarborough lies within 200 nautical miles of Philippine shorelines — deep within Manila’s exclusive economic zone. So here again, portraying Hopper’s passage as an innocent passage affirms what friends of maritime freedom ought to contest, early and often. Seafarers must do nothing — wittingly or unwittingly — that ratifies lawless territorial claims. Classical Chinese philosopher Confucius proclaims that calling things by their correct names constitutes the beginning of wisdom. What holds in life holds in diplomacy and strategy. Any devil’s advocate would agree. James Holmes is the inaugural holder of the J. C. Wylie Chair of Maritime Strategy at the Naval War College and is co-author of Red Star over the Pacific. The views voiced here are his alone.